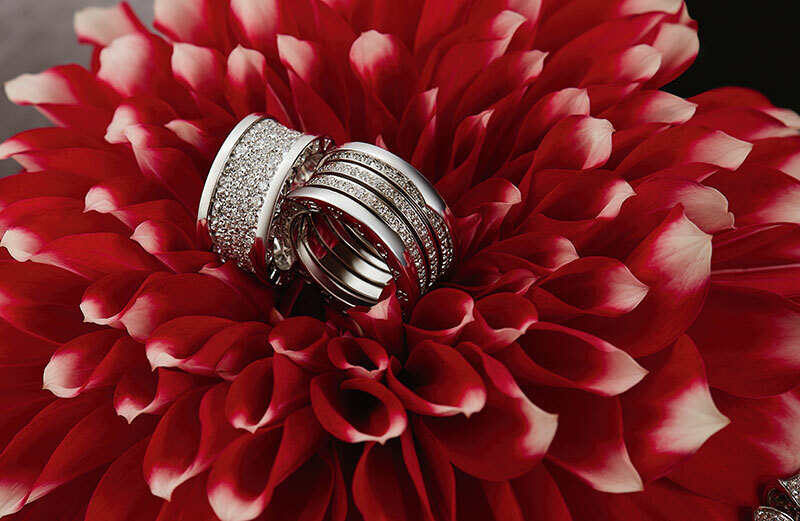 Who needs a man when you have flowers and diamonds? 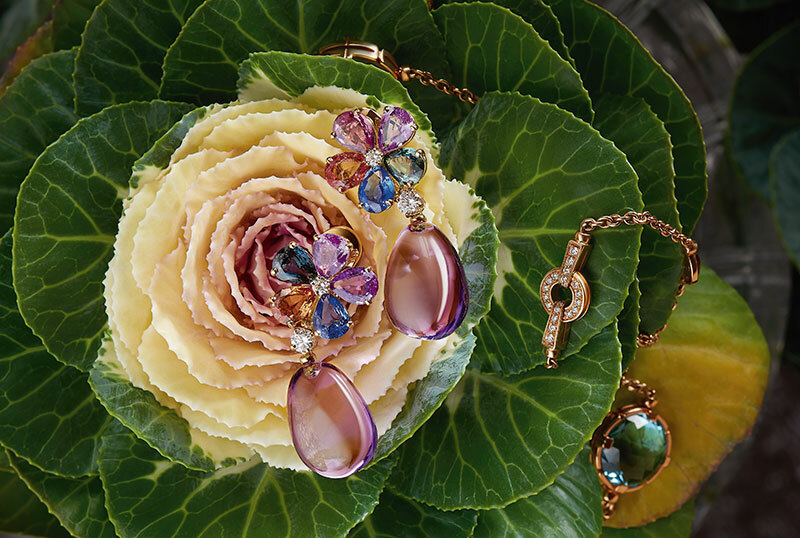 Sapphire Flower 18-carat yellow gold earrings with fancy sapphires, amethysts, diamonds and pavé diamonds; Parentesi Cocktail 18-carat pink gold sautoir necklace with blue topazes, green and citrine quartz, amethysts and pavé diamonds. Serpenti 18-carat pink gold curved case 26mm jewellery watch set with brilliant-cut diamonds, black sapphire crystal dial set with diamond indexes, double-spiral 18-carat pink gold bracelet set with brilliant-cut diamonds; Serpenti 18-carat pink gold bracelet with full pavé diamonds and black onyx; Serpenti 18-carat pink gold curved case 26mm watch set with brilliant-cut diamonds, black sapphire crystal dial set with diamond indexes, single-spiral 18-carat pink gold bracelet set with brilliant-cut diamonds and black onyx. Serpenti 18-carat white gold curved case watch set with brilliant-cut diamonds, white mother-of-pearl dial set with diamond indexes, double-spiral 18-carat white gold bracelet set with brilliant-cut diamonds. 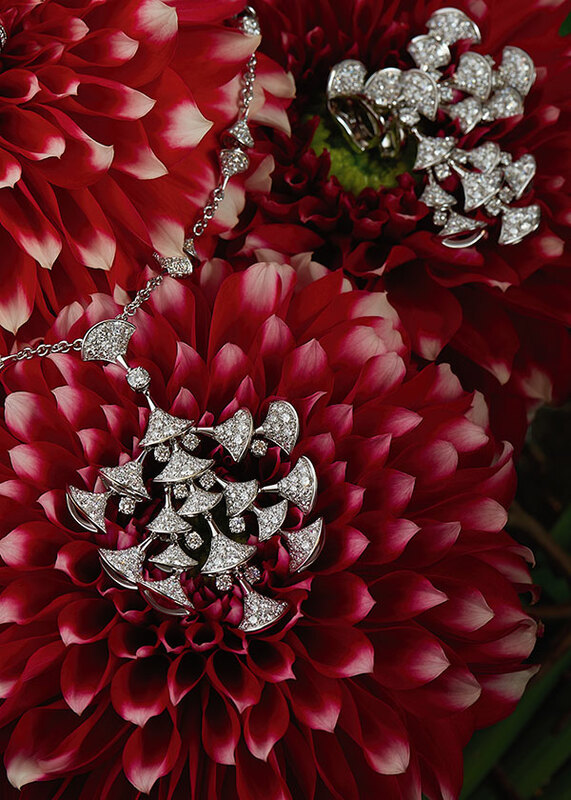 Diva 18-carat white gold earrings with pavé diamonds; Diva 18-carat white gold necklace with pavé diamonds. 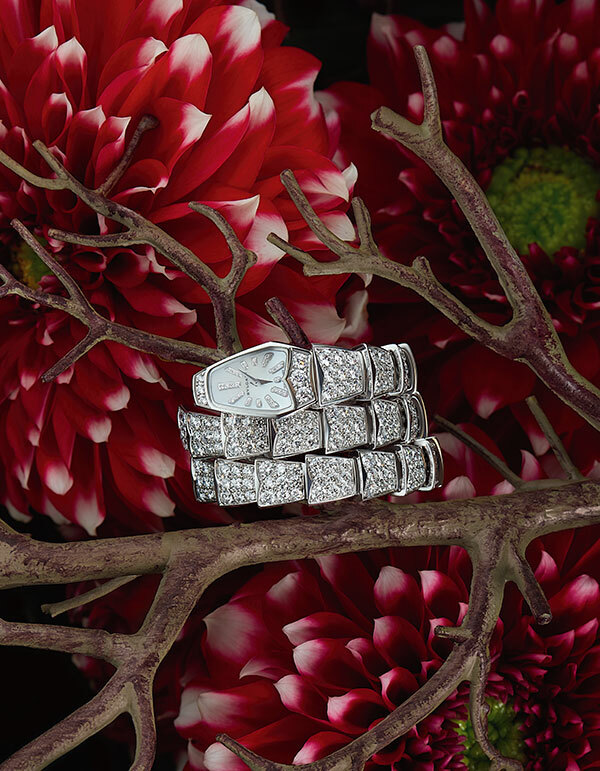 Bzero.1 18-carat white gold rings with pavé diamonds. 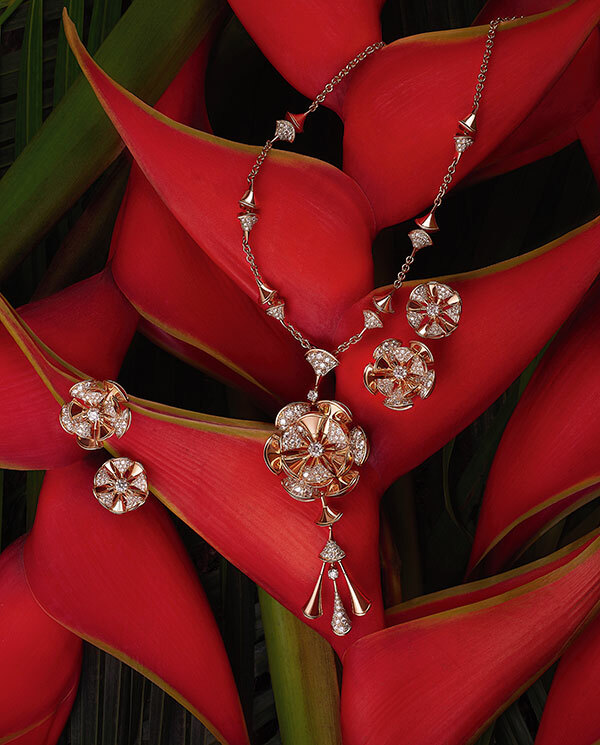 Diva 18-carat pink gold necklace and earrings with diamonds. 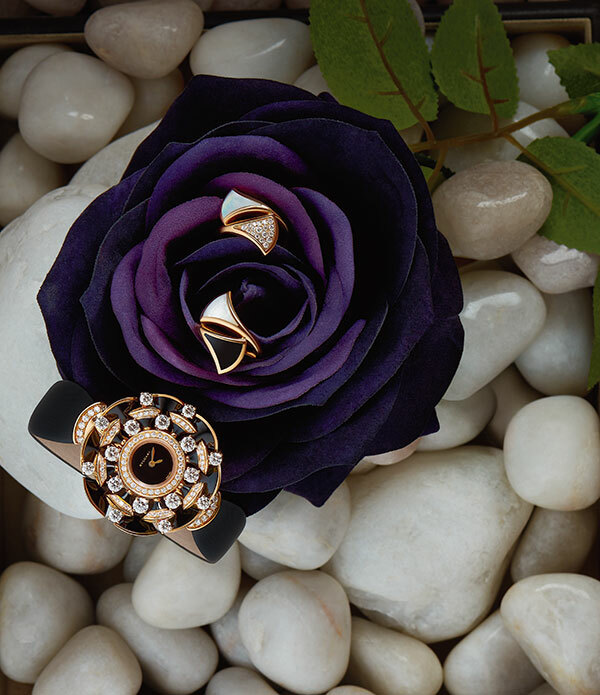 Diva 18-carat pink gold ring with onyx and mother-of-pearl; Diva 18-carat pink gold ring with mother-of-pearl and diamonds; Diva 18-carat pink gold case 39mm watch set with brilliant-cut diamonds, round-cut diamonds and onyx elements, black lacquered dial, satin strap, 18-carat pink gold buckle set with brilliant-cut diamonds.